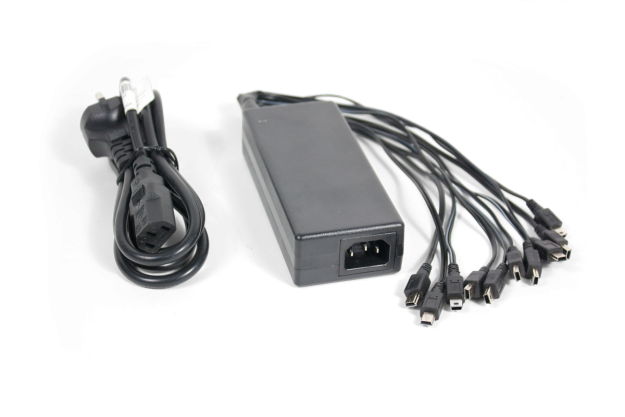 10-UNIT USB CHARGER FOR T2863, R2863 10-unit USB Mini-B style charger will charge any combination of up to ten T2863 transmitters or R2863 receivers. Universal power supply with Euro line cord. 1.1 lbs.